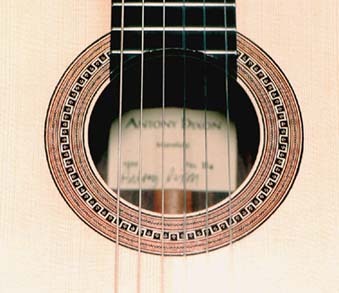 Built with great care and sensitivity, these guitars are warm and very responsive, allowing the player full freedom of expression. 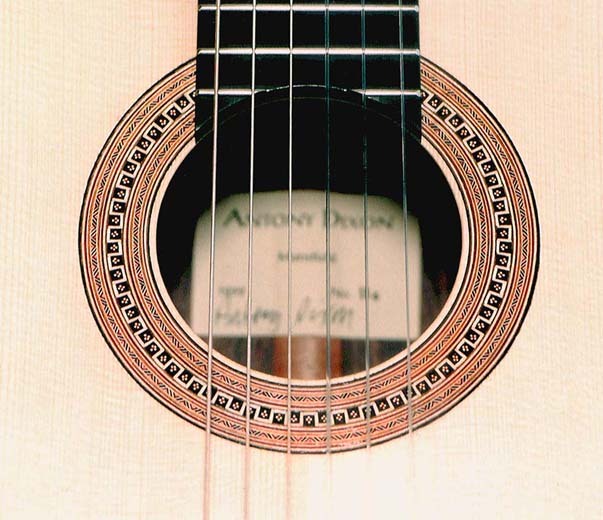 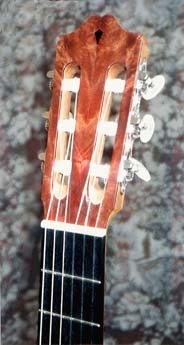 European spruce and Indian rosewood are the woods usually used, along with traditional Spanish construction and Torres fan-strutting. 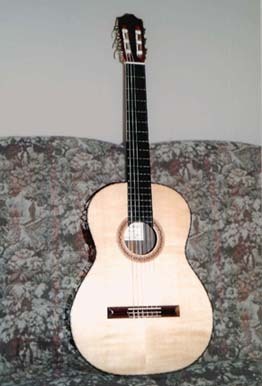 (Other woods are available, including European rather than tropical hardwoods). 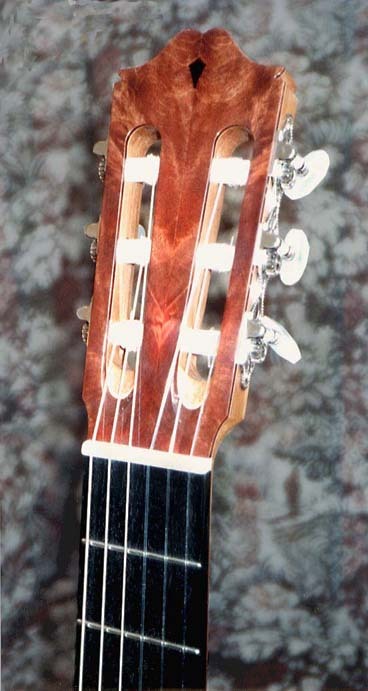 Lattice-braced instruments can also be made for those who prefer the extra volume and sustain offered by this method of construction.